After check-in we settled down for lunch at The Square, the hotel's all day dining restaurant. 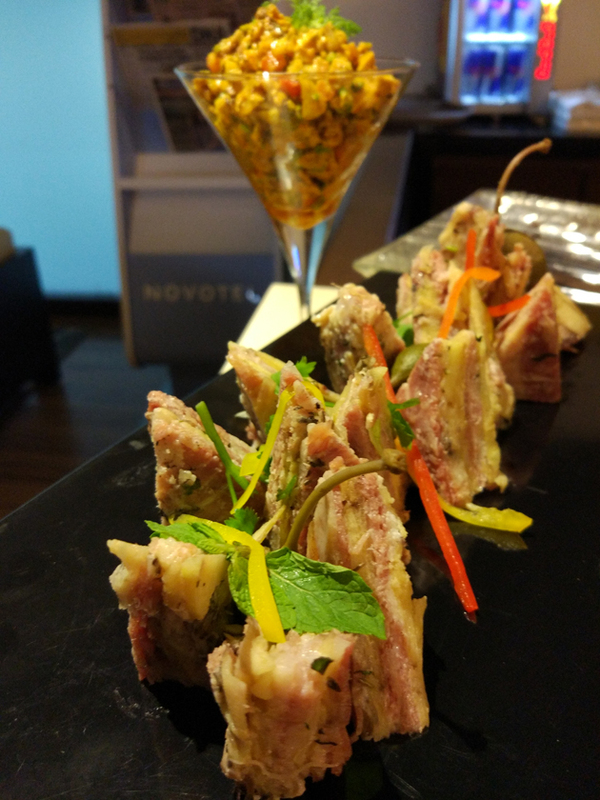 The lunch spread was huge with a good balance of vegetarian & non-vegetarian India, Asian & Italian delicacies & an enviable dessert spread. 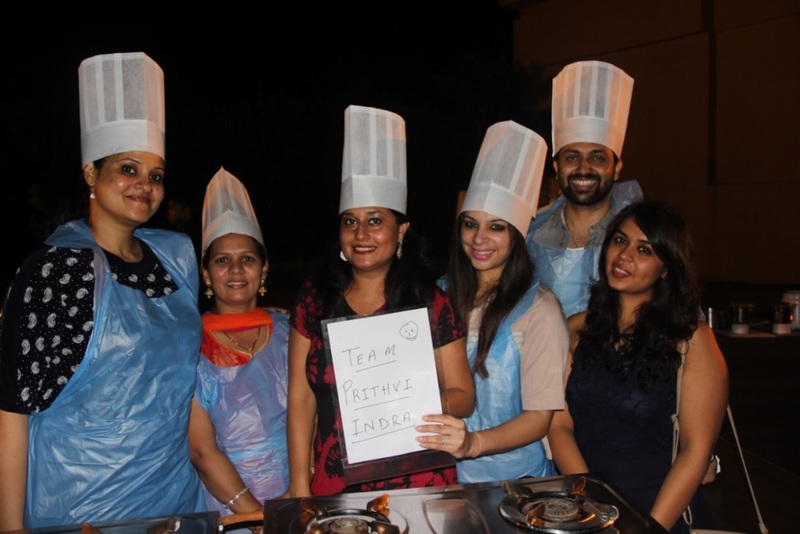 We especially loved the kokum paneer tikka, kaju sangri pulao & also helped ourselves to a helping of Pad Thai from the live stations. A quick tour of the property revealed more about the multi faceted getaway destination. The 3 wings of the hotel house 287 rooms, 4 F & B outlets & large banquet space suited for destination weddings, conferences & more. 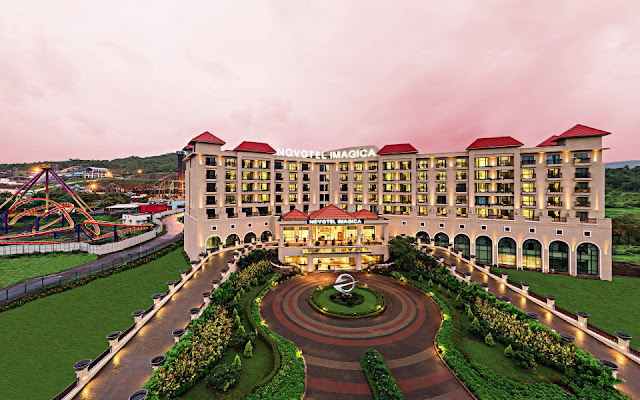 The comfortable rooms face an interesting mix of lush Sahyadri hills (nature), Aquaimagica water-park (adventure) & the Nitro (the famous Imagica ride). 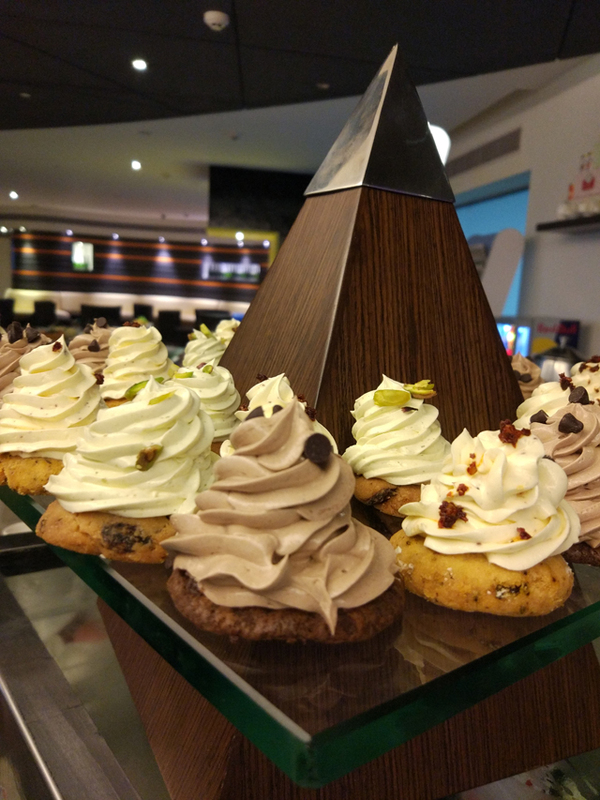 Sit back with a cuppa of choice gazing at fabulous views from the hotel, an ideal way to celebrate weekends!! The outdoor pool dons an inviting look with comfortable cabanas poised all around an exquisite pool. The open space around the pool is perfect to hosts pre-wedding events, cocktail parties & more. 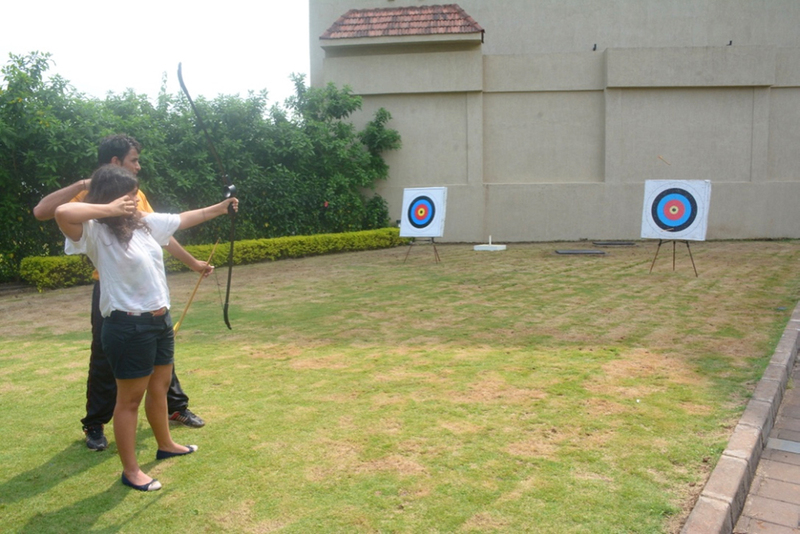 One can also indulge in a range of adventure activities like Zorbing, Archery, Rifle Shooting & more at the poolside. A peak at the well maintained gymnasium motivated us to try the fitness equipment & we promised ourselves a early morning routine. 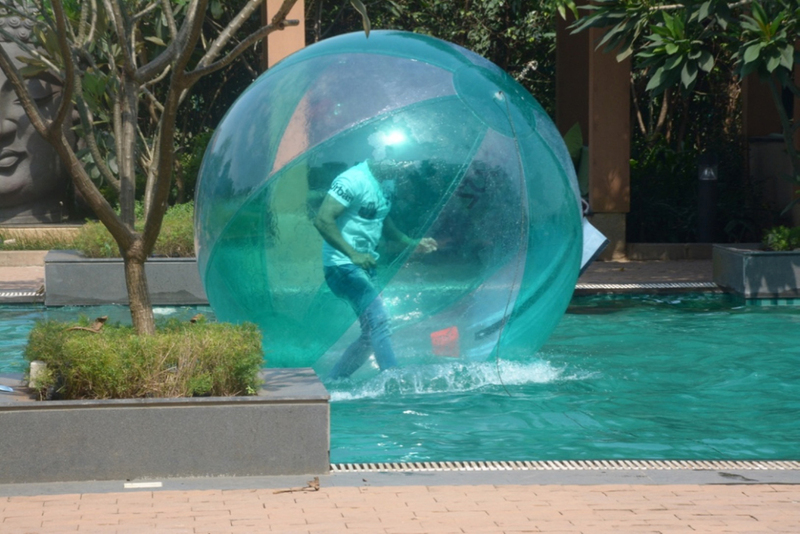 The property is extremely kids friendly as it attracts a lot of special tiny guests during their visit to Imagica. 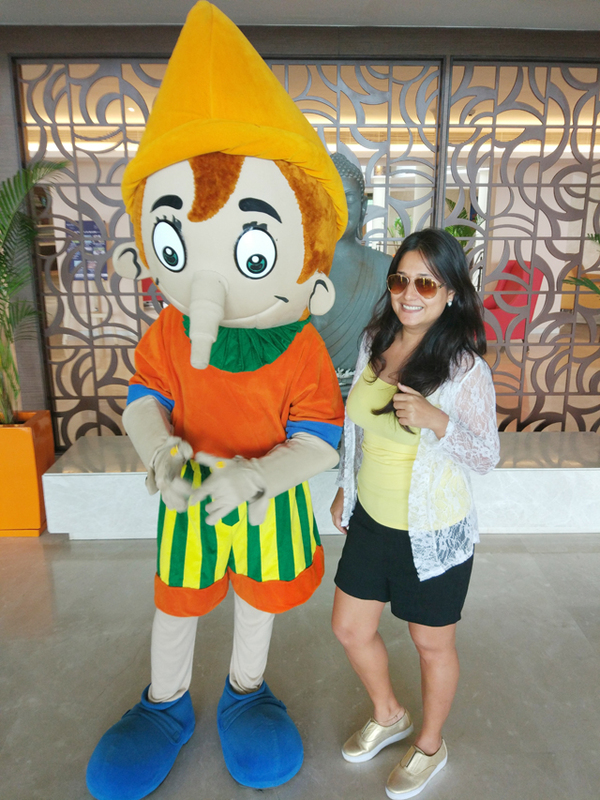 The kids play area was buzzing & various mascots spread smiles as they happily posed with the guests. Our favorite was definitely "Tubby" the Elephant- red & cute, I wanted to take him home!!! The play room hosts many games like table tennis, Foosball & more for adults and we indulged in a game too....now whats a staycation without some games? 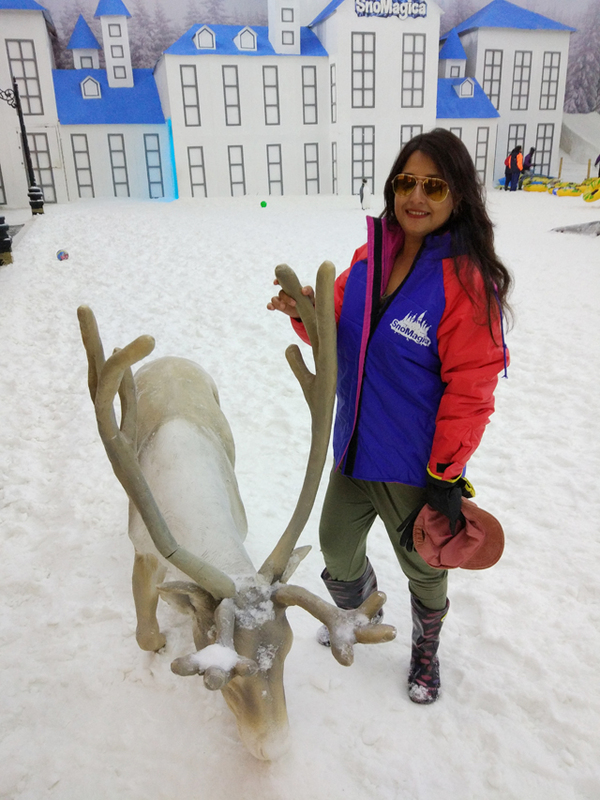 Revitalized, we headed for an interesting trip to the Snow park at Imagica for a one of its kind indoor snow experience. Having heard a lot about it, I was excited to check it out!! We put on the mandatory gear-jackets, boots & gloves & stepped in to enjoy a chilled adventure. Covering an area of 15,000 sq. ft India's largest snow park is an adventurous affair with activities like snow hiking, snow rafting & dancing in chilly temperatures. Don't forget to poise with interesting snow sculptures here for that perfect Instagram picture or throw snow balls on partners...happy days!!! Next, the cook off hosted at the poolside was a high energy experience sweetened with the fact that my team emerged as winners!!! Wanna know the winning menu? 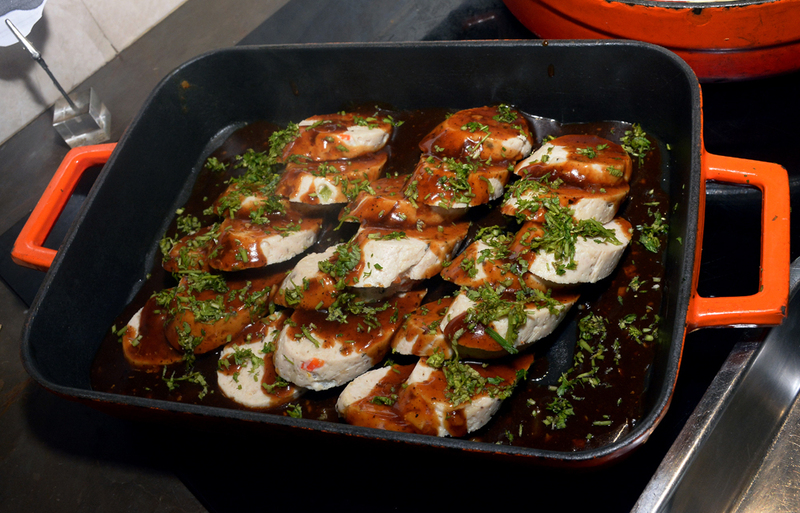 Kashmiri Dum Aloo, Ghee rice & Coconut ladoo with white chocolate drizzle & pistachio crumble....mouthwatering, right? As the night unfolded we relaxed with starters & cocktails at the poolside before hitting our beds but not before indulging in karaoke. Breakfast, the next day was hearty & filling with an amazing variety of breads, cheese, salads, juices & live stations for a healthy start. We had just finished breakfast when suddenly foot tapping music announced the commencement of the "Irolic Parade"by favorite cartoon characters that makes one clap hands in joy & match their dance steps!!! We saw kids laughing & enjoying the parade with unabashed wonder & joy....oh, what a wonderful feeling. It was now time to indulge in "Sunday Brunch" hosted at Square. 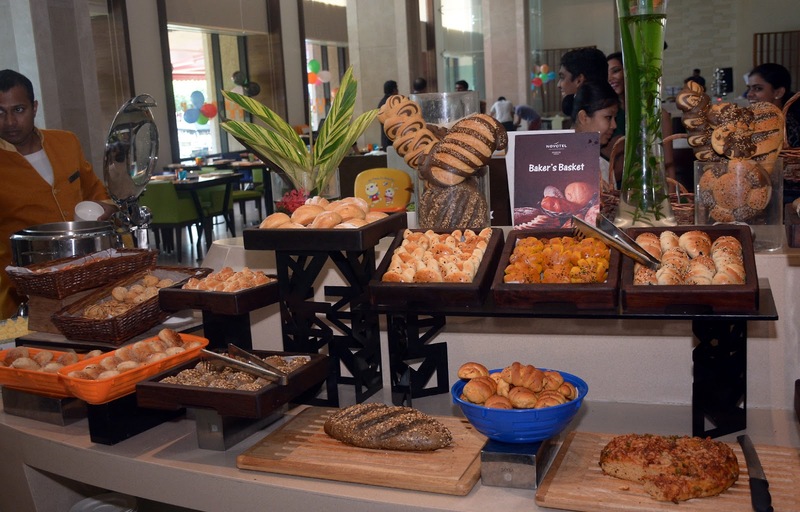 An eclectic mix of Indian & International cuisine favorites, the brunch is an ideal way to enjoy laid-back Sunday vibes. 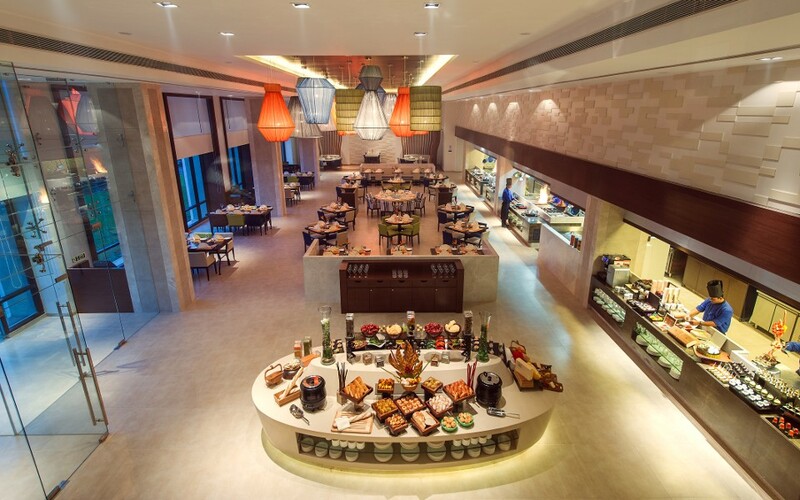 In addition to enticing cocktails & mocktails, guests can relish delicious dishes from live counters like pasta, pizza, stir fried noodles & our favorite pick...Madras Curry Dosa (available in both veg & non veg options). Another favorite- Chicken Roulade with cinnamon jus was just perfect to tantalize the taste buds with vodka shots & chilled glasses of Shikanji to bring the temperatures down. 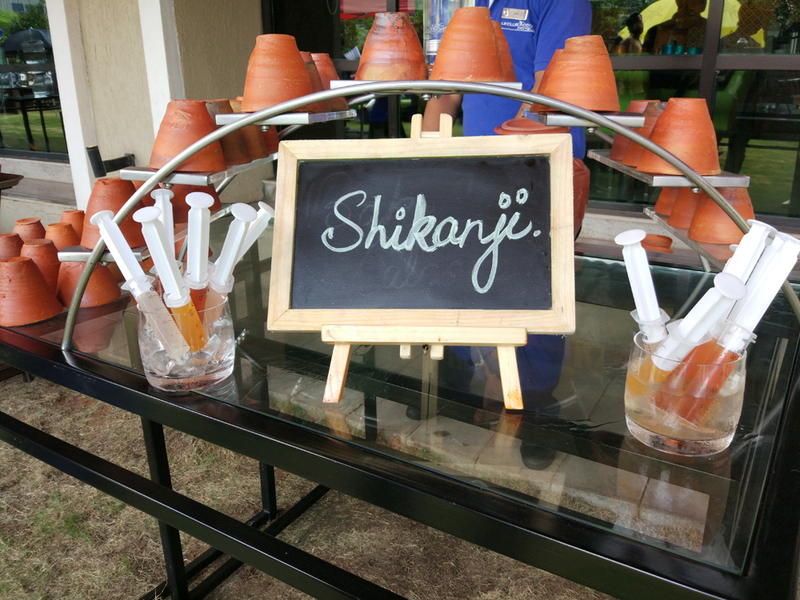 Try fresh & hot appams with vegetable stew or chicken curry to add a touch of comfort to your gastronomic indulgence. 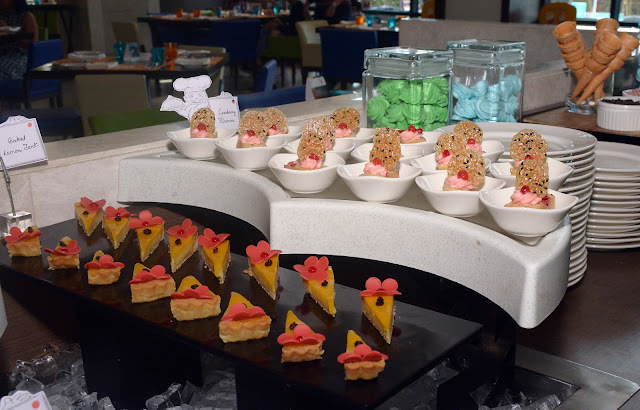 The dessert section was drool worthy with a huge chocolate fondue inviting you to forget all about calories & delicious Indian mithais like motichoor ladoo promising indulgent foodie times. 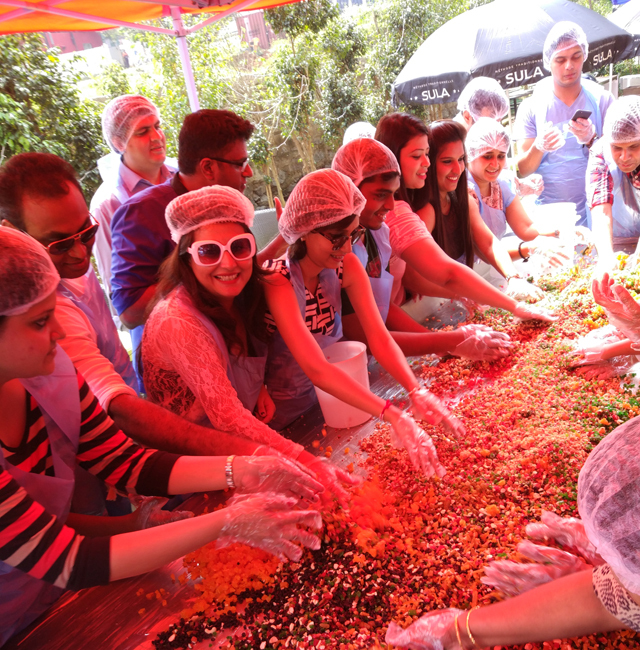 We participated in a fun cake mixing activity before we said our goodbyes to an exciting staycation that left us refreshed & pampered. As we drove back to the madness of Mumbai city our thoughts were full of the fun times we enjoyed at Novotel Imagica Khopoli & how a mini break had revitalized us. 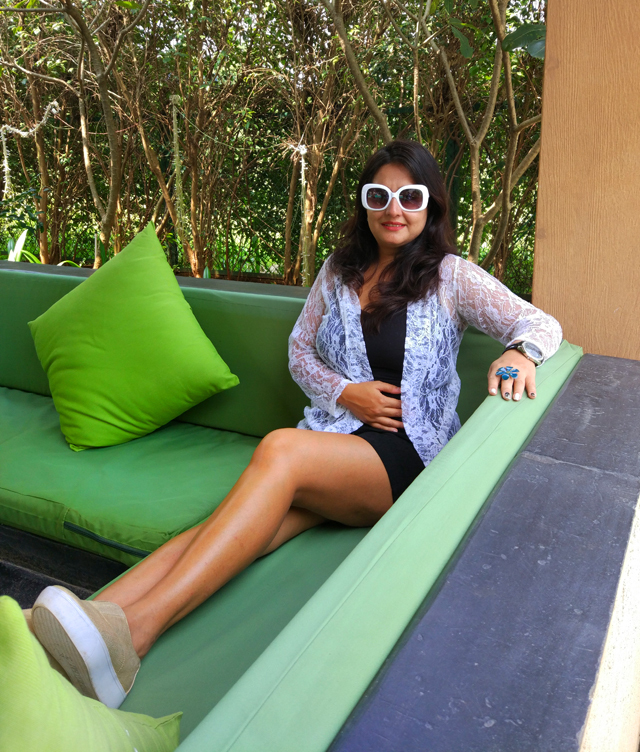 Take a break, unwind & indulge in a staycation.....because sometimes a break from your routine is everything you need!